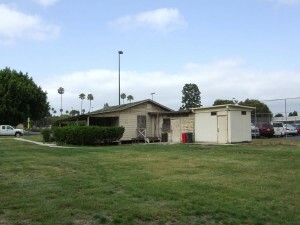 Cogstone was retained by the Veterans Affairs Long Beach Healthcare System (VALBHS) to review prior architectural survey reports and site records, to record and evaluate historic-age buildings not previously recorded and evaluated, to conduct Section 106 Native American consultation and to develop a Native American Graves Protection and Repatriation Act (NAGPRA) Plan of Action (POA). This work was in support of the Section 106 requirements related to an undertaking that involved 11 proposed projects to be completed in Long Beach, California. Cogstone recorded and evaluated 13 buildings (Buildings 5, 6, 46, 49, 50, 51, 92, 94, 125, 126, 128, 129, and 136); many of which were built in the 1940s when the campus was used as the Long Bach Naval Hospital. 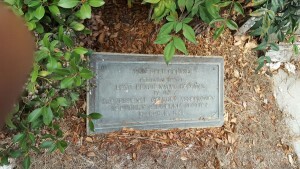 One such building, Building 94 was an abandoned golf house constructed in 1944 and closed on October 19, 1996. 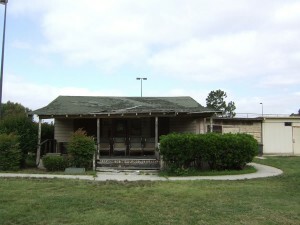 The golf club house and the associated golf course were presented to the Naval Hospital on March 10, 1946 by the Professional Golfers Association (PGA), Southern California Section. It is a wood-frame, rectangular building; one-story in height. It is oriented north-south and faces east toward the small golf course greens it used to serve. It has a side-gabled roof, of low pitch, covered in composition shingles, in very poor condition. It has open eaves and a moderate overhang on south, west, and north elevations. The walls are clad in wide, simple drop wood siding, which is also in very poor condition. It has had little done to it since, except for the addition to the north and the much later addition of a metal bathroom structure north of the north addition. The north addition of wood appears to be a very old addition, probably added in the late 1940s or early 1950s. Building 94 retains its integrity of materials, design, workmanship, and location. Its integrity of setting, feeling, and association has been compromised. Its setting has been impacted by the addition of a large building to the west in the 1980s and by the removal of numerous nearby barracks and other buildings from the 1940s sometime after approximately 1950. Its integrity of feeling has been lost due to the neglected and dilapidated condition of the building. The building still stands on the large green space that once served as a golf course for the campus, but this park-like area is no longer used as a golf course, the building’s primary association and reason for its construction. As far as is known, the building has no known associations with events or persons important in history and does not appear to be eligible for NRHP listing under criteria A or B. Its architecture is that of a simple, wood-frame ranch-style house of the mid-twentieth century, but is not a particularly good, outstanding, or unusual example of this type. It does not, therefore, appear to be eligible for NRHP listing under Criterion C. Building 94 is not recommended as eligible for the NRHP under Criterion D as it has little or no potential to yield additional useful information about its history, construction, or architecture.